“What if” is a powerful sentiment. What if carriages had engines? What if we could travel to the moon? What if phones could also be powerful computers? Indeed, “what if” can carry varying magnitudes of importance, and those who dare ask it are often rewarded with greatness. Take Rich Tillema, for example. 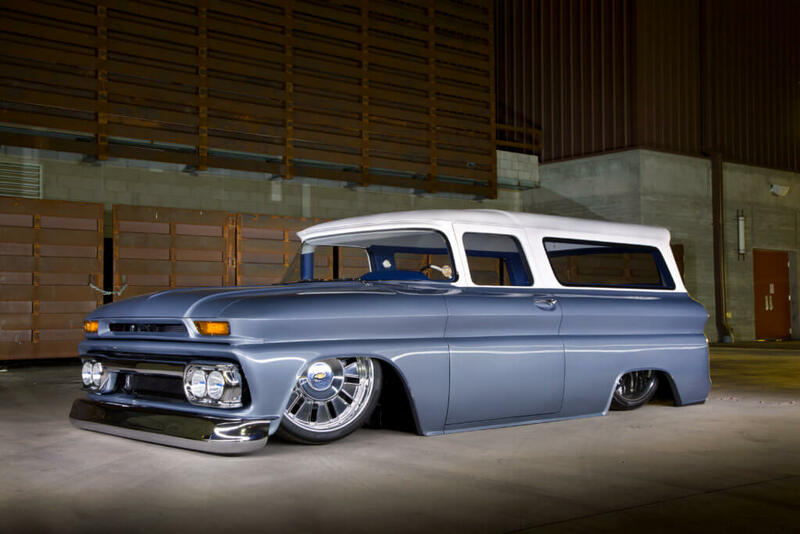 One of his latest “what if” ponderings was, “What if GM had built a Blazer based on the 1960-66 body style trucks?” Sure, we all know about the Carryall, and we could agree that it could be a close substitute, but the proportions are all wrong for a true Blazer. Still, Rich was determined to see his $500 tow-yard project through. Indeed, it would take a lot of work to get things right and earn its rebadging. 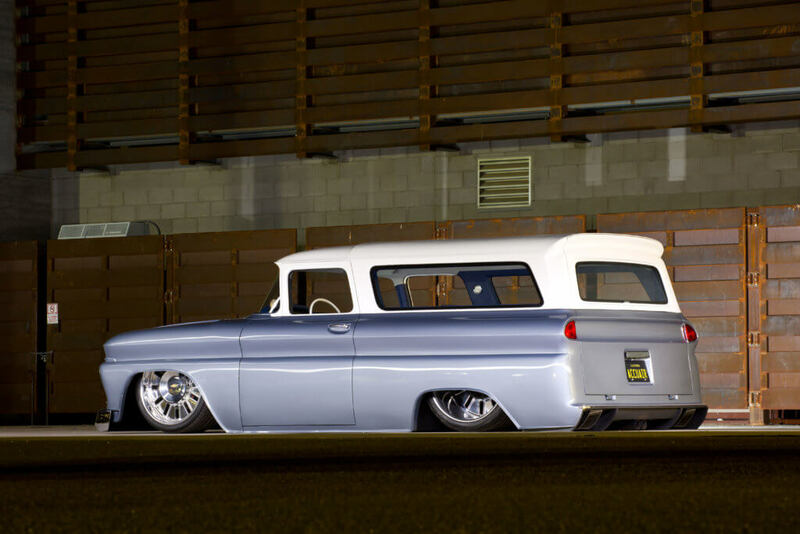 Sic Chops in Lake Havasu City, Arizona, handled the build from day one, with instructions that Rich wanted an updated version of what a Carryall-era Blazer might look like. As you can imagine, this would be no small feat, but a shop like Sic Chops was easily qualified to take the task in hand. We’re not sure of the exact order in which the mods took place, but we’d like to imagine that the Sic Chops wizards just waved their wands and made things happen. After all, shortening the body 22 inches, chopping the top 2.5 inches with an additional 1-inch pancake, building a new hood opening and rear diffuser, and flaring the lower body line all around the truck’s perimeter just seem too daunting for mere muggl… er, mortals. Almost caught us geeking out, eh? As clean and understated as the engine compartment is you might not think that it’s an 840–hp monster. The Don-Hardy-built LSA is an absolute supercharged terror. 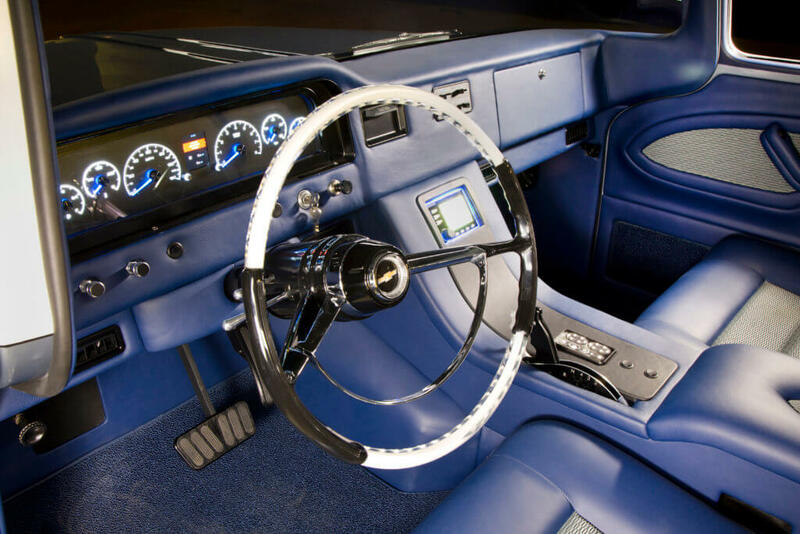 Even with all of the modern modifications done to Rich’s Blazer, the Sic Chops crew decided to keep it old school with a custom 1962 Pontiac steering wheel, which is still plenty big enough to provide a full view of the custom Dakota Digital gauge package. 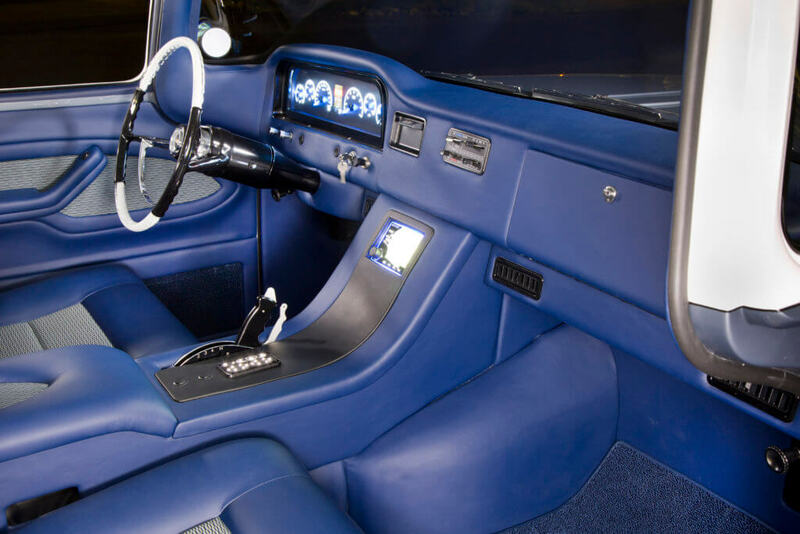 Ron Mangus did a beautiful job of trimming the interior of Rich’s truck using Douglas aircraft leather and some original GM truck material from 1962. Scott Laitinen at Sic Chops sprayed the color once the body was ready. Newer factory GM Overcast Grey Metallic took over most of the sheet metal, with Summit White adding the perfect contrast. And then there’s the flush-fit glass all around the truck. No visible gaskets here, all of the custom glass was glued into place, just like a modern truck. It’s not the first time we’ve seen this mod, but it is among the most finely executed we’ve come across, and it really accentuates the contemporary influence of Rich’s Blazer. At this point, there was absolutely no chance of the stock chassis staying underneath the truck, and Scott already had a plan in motion. A fresh Roadster Shop chassis was already on its way, with a trick custom cantilever setup and 14-inch Baer brakes in front of C6 Corvette spindles and a Strange 9-inch rearend. 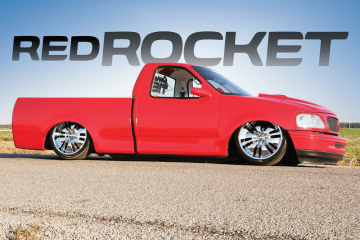 Slam Specialties airbags at all four corners with RideTech shocks provide a comfortable yet performance-minded ride. 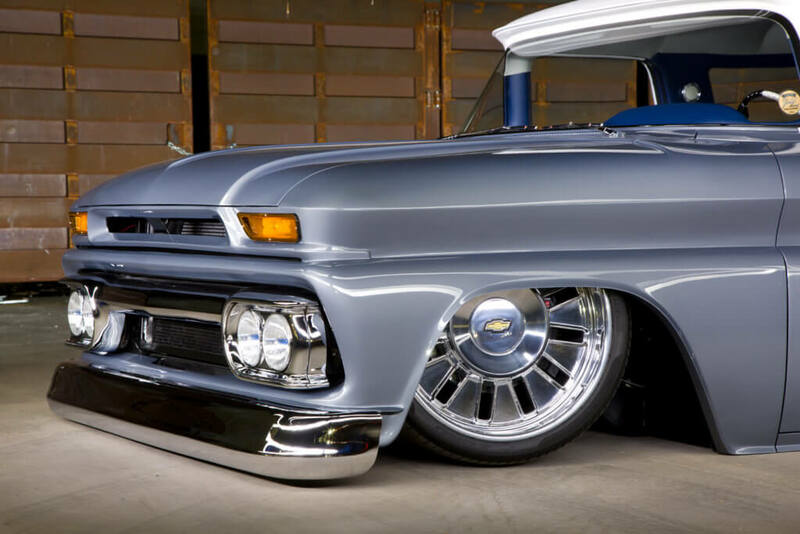 The wheels are works of art in and of themselves: one-off Colorado Custom three-piece billet wheels of the 22×12 and 24×15 varieties secure a set of staggered Pirelli P-Zero tires, giving Rich’s Blazer plenty of traction. As it turned out, it would desperately need it. Rich wanted power—lots of it—so he decided on a Cadillac CTS-V LSA supercharged engine, which is good for 556 hp right out of the box. Not bad by anyone’s measure to be sure, but even that wasn’t enough. Legendary engine builder Don Hardy worked his magic on the LSA, and after lots of machining and tweaking, Rich’s engine was now putting out 840 horses at 24 pounds of boost. So no, the 405mm-wide rear Pirellis aren’t really overkill. 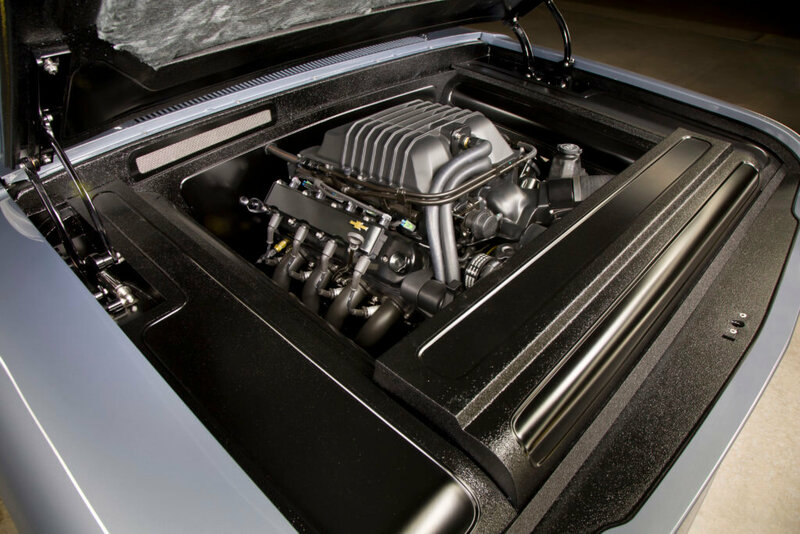 All of this power is transferred to the rear wheels by a custom Phoenix 4L80E transmission, which was built with the Blazer’s blissfully excessive power in mind. A Precision Performance shifter was then test-fit in preparation for the custom interior. 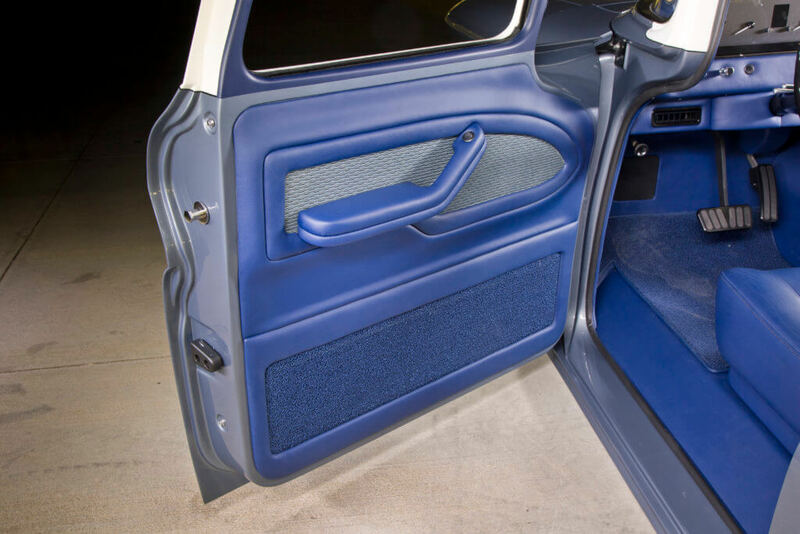 Ron Mangus’ name is the stuff of legend, and to have him do the interior of your truck is a sort of blessing. If Ron touches your ride, you’ve passed the coolness test. Ron trimmed the whole interior with yard upon yard of luxurious German material, with some good old ’62 Chevy truck patterns thrown in for good measure. 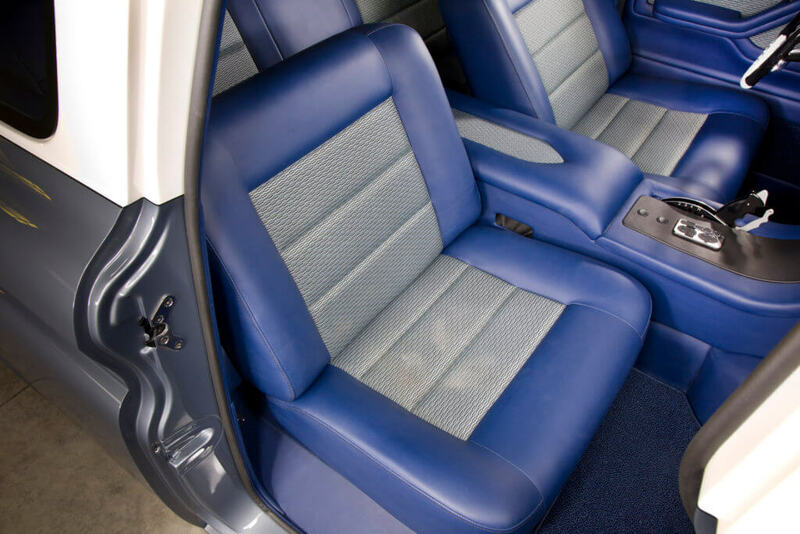 Glide Engineering seat frames were used as a base for the custom seating, and GM rocker switches were used for various functions throughout the Blazer. Up front and center (to Rich, anyway) are a custom ’62 Pontiac steering wheel, and one-off Dakota Digital gauges. 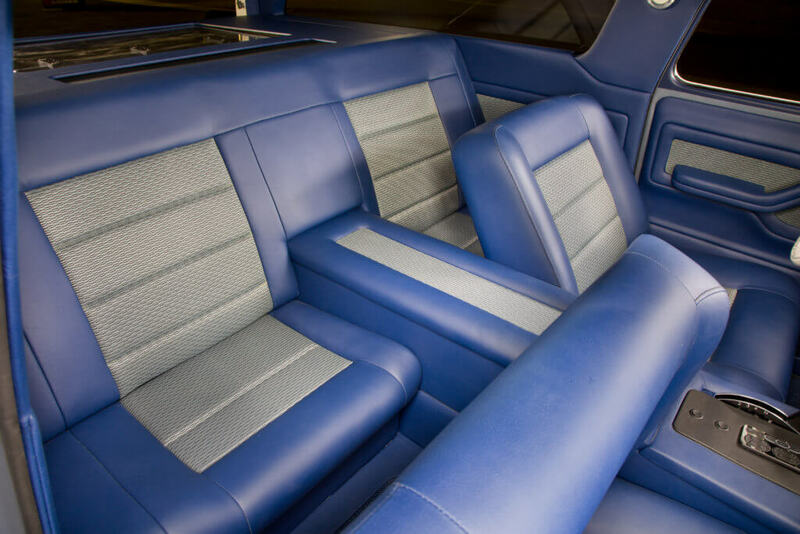 Ron then covered the custom Kicker sound system that was built by the Sic Chops crew to match the rest of the interior. 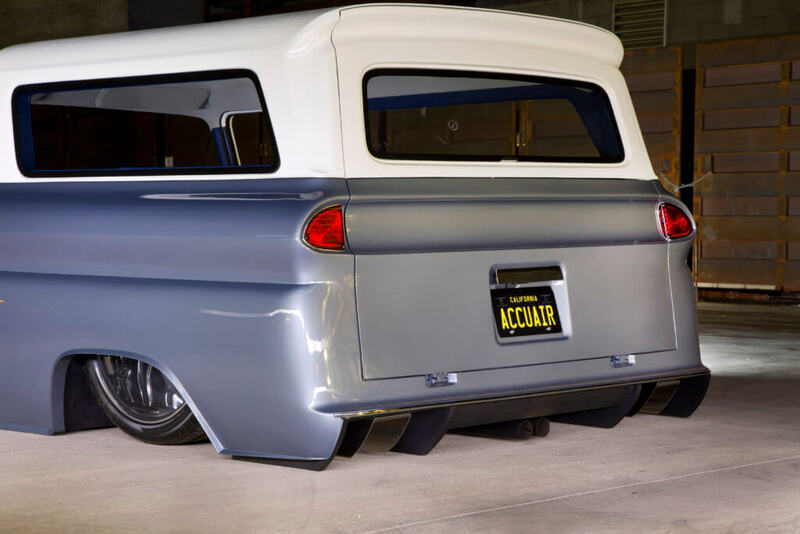 From that point, plenty of tidying up was needed to get Rich’s “what if” Blazer ready for SEMA 2016, where it stole the show in AccuAir’s booth. 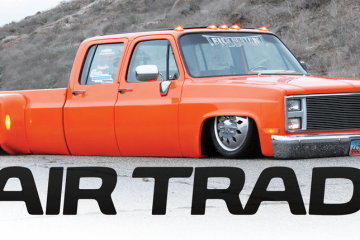 There were definitely a lot of people left scratching their heads, wondering what made his truck look so much different than your average Carryall. Now you know.